There is still time to get your hands on our great deal on the FRETX Smart Guitar Learning Device in the Geeky Gadgets Deals store. The FRETX Smart Guitar Learning Device is available in our deals store with 36% off. The FRETX Smart Guitar Learning Device normally costs $110 and you can get it in the Geeky Gadgets Deals store for $69.99. The FRETX Smart Guitar Learning Device is available in our deals store for $69.99, that is a saving of 36% off the regular price of $110. Technology is simplifying everything it seems these days, and now it has come for the guitar with FRETX. 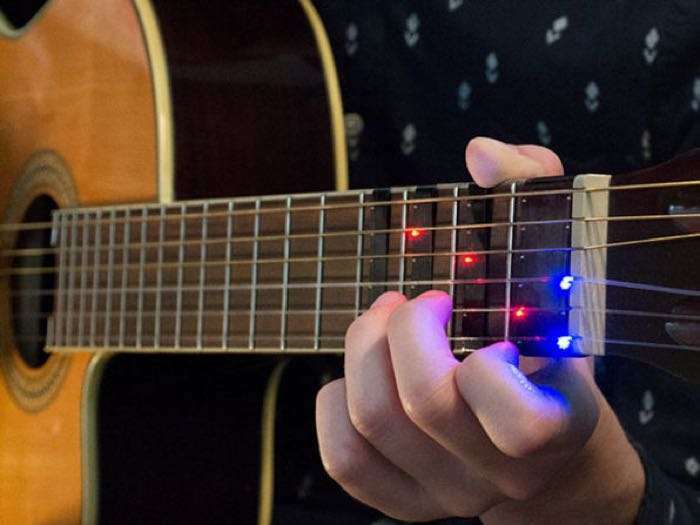 This smart device attaches to any guitar and shows you with lights where to put your fingers so you can learn chords without reading music. Controlled by mobile app and compatible with any six-string guitar, this clever device makes it easy to save on lessons while nailing down the basics. You can find out full details about the FRETX Smart Guitar Learning Device over at our deals store at the link below.